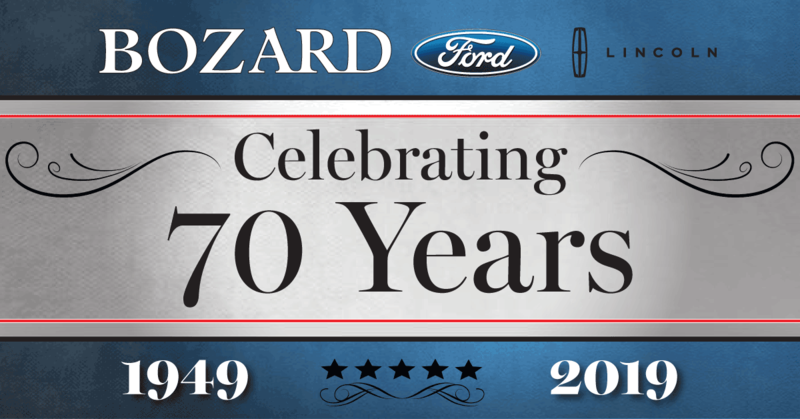 Bo Bozard & Letti Bozard: "70 years ago our grandparents started on the journey of Bozard Ford. A young couple, him just out of the Navy after serving as a fighter pilot in World War II and her a new mother to a one-year-old son, opened the doors and opened the opportunities for us and so many others along the way to be part of this special company. We are extremely proud of our heritage and our right to say we are FAMILY OWNED AND OPERATED since 1949. We are grateful for all of those, who have at any point in these past 70 years, given a part of themselves to our company. Thank you to the St. Augustine and North Florida communities for letting this story come to life. Thank you for your patronage and your support all of these years! We are a proud to live and work in such an amazing place! We are looking forward to the next chapter with the best team in the business!"